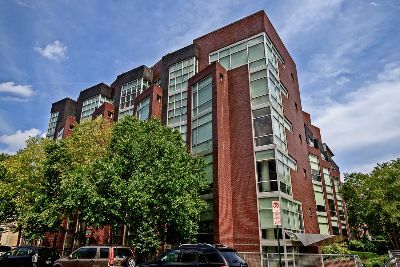 Delivered in 2007, The Beauregard is a contemporary condominium along one of Washington, DC’s hottest urban communities. The combination of red brick, grids of glass and steel, and angular bays jutting at staggered angles, offers a fascinating blend of traditional design concepts and abstract twists. You can find the building at 2100 11th Street, NW in the U Street Corridor neighborhood. 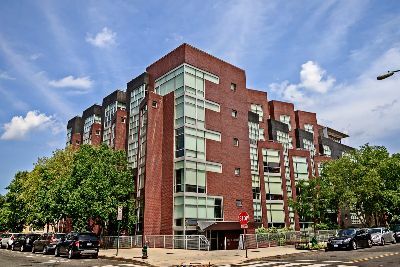 Delivered by Robertson Development and Sorg Architects, this six-story building is home to 45 residences, offered in a variety of floor plans. There are one-bedroom, one-bedroom with den, two-bedroom, two-bedroom with den and three-bedroom units. Sizes range from 723 to 1,776 square feet—the largest units being spacious penthouse city homes with private rooftop decks. Luxury condos for sale at the Beauregard come with hardwood floors, floor-to-ceiling windows and nine-foot ceilings. The open modern kitchens feature granite counters and Viking, Kitchen Aid and SubZero stainless steel appliances. Select units also have balconies. Also worth noting are the marble spa baths with walk-in frameless showers and Waterworks fixtures. The pet-friendly condominium boasts some nice shared amenities as well, including a staffed lobby with concierge, secure garage parking, a club room with pool table, fitness center, and a terrific roof deck with lounge area, gas grill and three separate intimate spaces where residents and guests can socialize, drink, dine and enjoy the stunning DC skyline view. The neighborhood is also a key part of the attraction. The Beauregard can be considered part of both the U Street Corridor and Shaw communities. This historic part of the District has long been known for its creative scene, with Lincoln Theatre, U Street Music Hall and the Washington Project for the Arts all within a few blocks. And when it’s time to dine out or indulge in a weekend pub crawl, you’ll be easy strolling distance from a potpourri of DC hot spots, including Vinoteca, Black Cat, Brixton, Town Danceboutique, the Fainting Goat, Oohhs and Aahhs, Marvin, Busboys & Poets, and many more. To learn more about luxury condos for sale at the Beauregard, call District Partners Real Estate, LLC, at 202-798-3600.